By Terry Adams, TDC Community Development Worker with BME Communities. Earlier this year TDC worked with Brighton Digital Festival (BDF) to explore notions of how the digital world deals with identity and representation. The Brighton Digital Festival (BDF) is an annual month-long programme of events that explore digital culture and celebrate Brighton’s creativity. BDF seeks to be a vehicle for social change, connecting people from communities across the city with opportunities for expressing their creativity, for exploration of digital culture and understanding how digital culture is shaping the future. 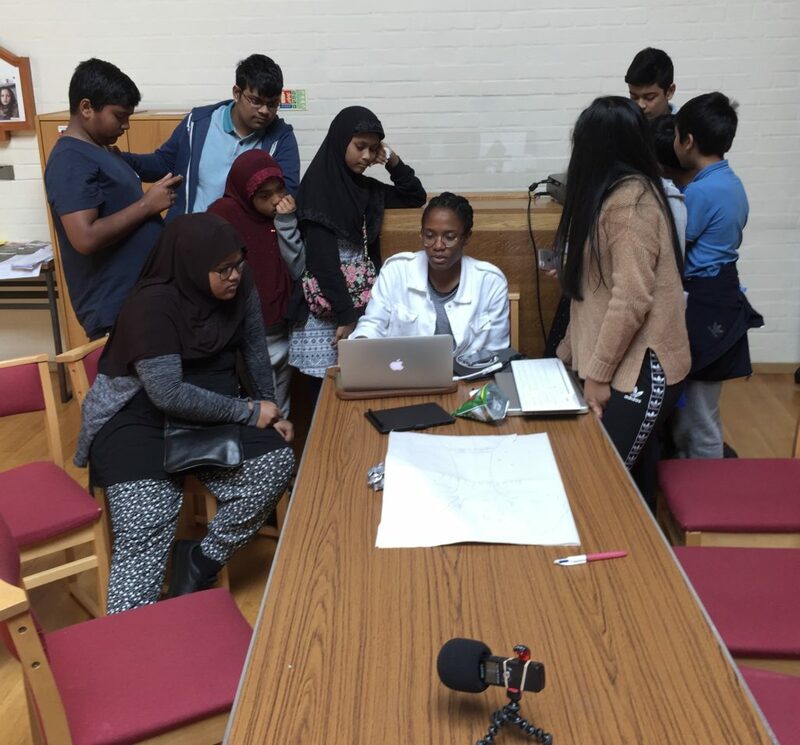 As part of this commitment BDF in partnership with TDC and community champions conducted qualitative research amongst young people from a section of the City’s culturally and ethnically diverse communities (BAME). The purpose of the research was to explore what young people from ethnically and culturally diverse (BAME) backgrounds feel about the general representation and portrayal of people like them on the internet. The broader questions and issues explored related to ‘digital otherness/identities’ and the colonisation of online spaces. For the research the young participants were asked for their comments, views and perspectives on the extent to which they believe online content images, references, stories, news and features etc. typically present them (or people they identify with) in a manner they believe is fair, accurate and diverse. The Brighton Digital Festival Director, Laurence Hill, oversaw the project. The lead researcher was Irene Fabara-Manuel, a post-gradual student at Brighton University. Overall, 14 young people age 10 – 18 years took part in the focus group sessions. The TDC used our community contacts and relationships with people, communities and groups from ethnically and culturally diverse communities to recruit the young people to the research. We helped shape the context and format in which the research was undertaken. We also assisted in the facilitation of the research and contributed to the analysis of the data and findings. The findings were presented at the BDF Conference held to explore the frontiers of digital culture. The conference featured a mix of presentation, discussions, speakers and artistic work. The findings highlighted concerns young respondents had in what they saw as casual bias in how images and stories reflecting their identities are portrayed and reported. It also revealed high levels of engagement with digital technology as well as challenging stereotypes and commonly held perceptions of how young people from their cultural and ethnic backgrounds use the internet. The findings also revealed the need for more research in this area. To this end, discussions are being held to explore conducting further similar research next year. This new research will expand on existing findings and seek to shape the way people engage with the internet.